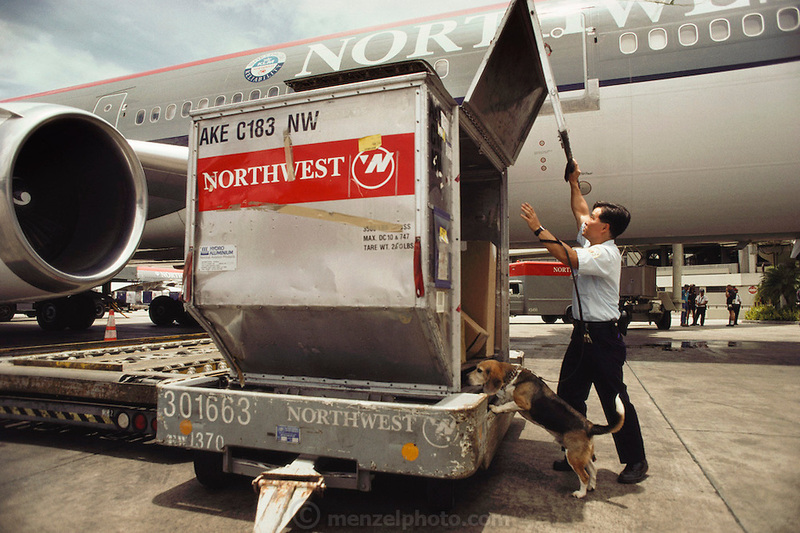 US department of agriculture Jonathan Saito with beagle, Joice, checking a Northwest Airlines flight from Guam for brown tree snakes. Honolulu, Oahu, Hawaii. USA.